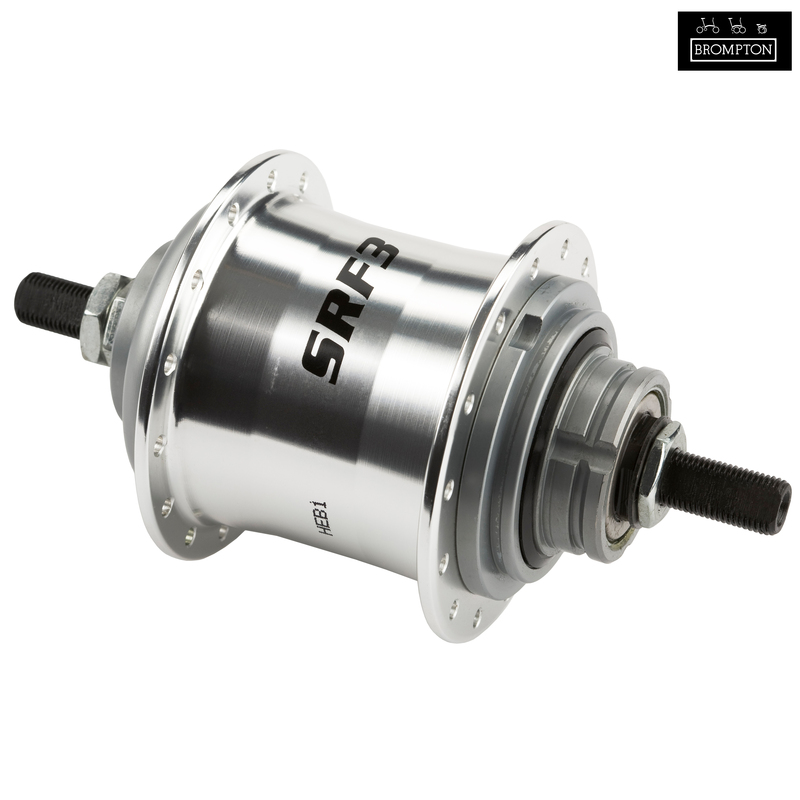 Full replacement hub for BSR hub used on all modern Brompton 3 spd bikes. Compared to the old AW with an oil cap, this is never going to be as efficient, and it doesnt feel it either. Its also a few grams heavier than a steel-shelled AW, even allowing for the spoke head washers you need when building up the AW. However, it cant slip (NIG means No Intermediate Gear, or more accurately, no neutral between normal and top), the shell is nice (even if it saves no weight) and you can always stick some AW (or better: AM) internals in there, since the threads and dimensions havent changed since 1936. I suppose most people arent as fussy as me, but I dont like the idea of "greased for life". The steel isnt as hard as the older hubs, and if you do want to open one up and clean it out, dont use a hammer and punch because youll ruin the ball ring. Does this hub accepte two sprockets ? This hub will only accept one sprocket.